Welcome to 6th Grade Choir! 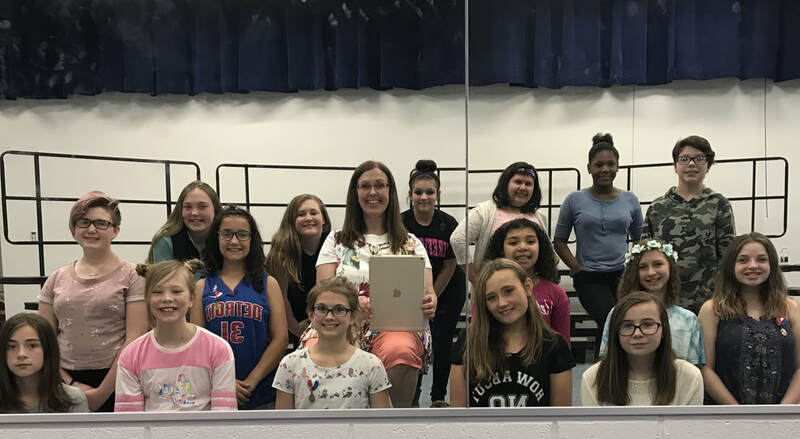 This year our 6th graders will be singing in 3 concerts and 1-2 festivals (depending on if they qualify for State Festival). They will studying Music Theory which will help them understand the music they are reading daily. They will learn to sight-read music and write simple compositions. By the end of this school year, I believe you will be amazed at all these students have accomplished. Singing is multi-layered and much more challenging than most people realize. Good singing incorporates the entire body: posture, voice, thought process, willingness to try and a good attitude. My mom always encouraged me to THINK and today her words ring true when I am teaching. My students know THINK is my favorite word and it is something we must always do while singing. We use so many different layers of analysis while singing. Singing correctly takes much thought - continually. If your son/daughter comes home saying they are working hard, you can believe they are being encouraged to be their very best in class! Our 6th graders will be studying to learn this new foreign language called Music Theory. They will be learning notes, rests, note names, dynamic signs and they will learn to read the Treble and/or Bass Clefs. There is so much to learn and just like learning to read and spell, it takes years to master learning Music Theory. Please check out the MUSIC THEORY portion of this website for worksheets. Choir is a team sport. We cannot succeed as a choir without everyone's best participation. WIth this in mind, all concerts and festivals are required and will be graded. Our concerts are all performed at the HS Theater at 7 pm. Practice times will be announced before the concerts. Please plan for your 6th grader to arrive around 6 pm for practice. The house opens for parents around 6:30 pm. ​Festival is a fantastic experience for our choir students. In March we will travel to Holt High School to participate in festival. Each choir will sing 2 songs before 4 adjudicators. They will be judged against a rubric to see how we are learning according to the Michigan guidelines for vocal music. Students will then sight-read music they have never seen and also received a score. If they score high enough, they will learn the privilege to go to State Festival.